As the town of Myawaddy on the Thai-Burma border has grown through increased trade, so too have efforts by local military forces to extract revenue from the workers, traders and travellers who pass through it. With increasing exploitative and military pressures in the surrounding rural areas, many local villagers have also joined the ranks of those seeking economic refuge—or just opportunities to work or buy and sell goods—in town and across the border. Villagers in the area live under a motley patchwork of political and military authorities that operate over 20 checkpoints along the Asian Highway between Myawaddy and Rangoon. At each checkpoint transport trucks and passenger vehicles must pay tolls while travellers may be searched and forced to give 'donations' or 'tea money' to inspecting soldiers. Fixed tolls and ad hoc extortion are used to support the checkpoint itself and the military personnel controlling it. This report includes information collected in August and September 2009. The town of Myawaddy, located in Kawkareik Township, Pa'an District, sits along the Burma border adjacent to the Thai town of Mae Sot. The two towns are divided by the Moei River which flows northward between them until it feeds into the larger Salween River. Decades ago, Myawaddy was briefly under the control of the Karen National Liberation Army (KNLA). However, the town was lost to the Burma Army amidst heavy fighting, including bombing and strafing by Burma Army jets, in March 1974. While Myawaddy has long been an important trade point between Thailand and Burma, its population and economic role have grown significantly since the Thai-Myanmar Friendship Bridge was built across the Moei River in 1997. This bridge also links the Asian Highway One (AH1) as it goes from Mae Sot to Myawaddy and then on to Kawkareik and Thaton towns, Rangoon and beyond. As economic activity and cross-border trade in the area (both official and unofficial) have grown, so too have the numbers of traders and workers coming and going from locations across Burma. Most traders and business people arriving in Myawaddy have come from Kawkareik, Pa'an and Thaton towns and Rangoon. Along with these groups of people, many local villagers—often fleeing military pressures, abuse and the financial, livelihoods and humanitarian impacts of abuse in rural areas—have also travelled to Myawaddy and neighbouring Thailand seeking economic refuge or simply opportunities to trade and work. Commensurate with these economic and migratory developments, military-backed tollgates—each a local enterprise in (often entrepreneurial) extortion—have proliferated. These tollgates are manned by various combinations of Burma Army soldiers, State officials, police, Na Sa Ka, Democratic Karen Buddhist Karen Army (DKBA) soldiers and Karen Peace Force (KPF) soldiers. The conditions for the DKBA's transformation into a Border Guard Force, under at-least partial Burma Army control, reportedly include the freedom to continue, and possibly expand, business ventures like check-points. As such, these toll gates are likely to remain in place well past the planned 2010 election and related Border Guard Force transformation. 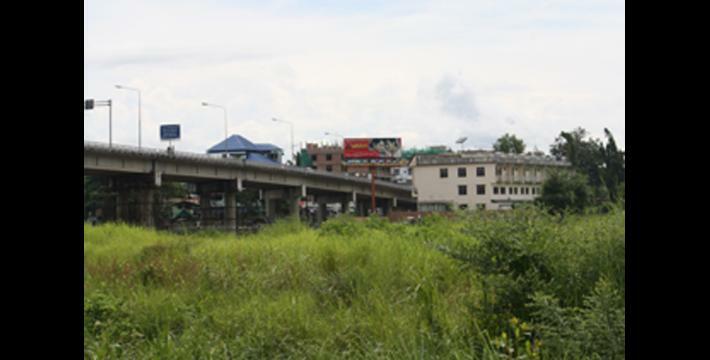 This report, therefore, attempts to trace some of these 'enterprises in extortion' along one short stretch of the Asian Highway: from the edge of the Moei River at Myawaddy to the Sitaung River near Pegu (Bago) Division. Beginning at the Moei River, there are two ways by which people can cross the Thailand-Burma border. The first of these is the formal crossing point over the Thai-Myanmar Friendship Bridge. This checkpoint requires formal immigration procedures and customs checks by Burmese and Thai immigration officials on their respective sides. On the Burma side of the crossing, there is a 1,000 Burmese kyat (approx. US $0.92) fee for Burmese nationals to leave the country and a 500 Thai baht (US $14.88) fee for non-Burmese nationals to enter. The second, and far more popular, manner of border crossing is to go 'under the bridge'—that is, taking a long-tail motor boat or rubber inner tube across the Moei River. For this service, there is a 500 kyat (approx. US $0.46) fee for transiting by either a boat or inner tube. On the Burma side, those coming to and from Thailand must pass through checkpoints overseen by a mix of Na Sa Ka, police, Burma Army and DKBA soldiers. To pass these checkpoints, travellers must pay a 500 kyat toll and another 500 kyat for excess baggage. There are five such tollgates at river crossing points along the Moei River in the Myawaddy area, but more can be found further up and downstream. During the hot season (roughly February to May) it is actually possible to wade across the Moei River in places. However, SPDC and DKBA forces operating along the waters edge do not allow people to cross in this way; those who do cross must take a boat or inner tube and pay the requisite fees. Although costs for going 'under the bridge' are at least equal to those charged at the 'official' border crossing (or even more expensive for those with excess baggage), the 'unofficial' crossing points remain more popular—the advantage being that paperwork and customs checks are not conducted. The checkpoints along the river are thus best understood as tollgates, not immigration checkpoints. These routes are therefore particularly advantageous for migrant workers from Burma who lack legal travel documentation for Thailand yet who may cross back and forth as often as every day. Given the high level of traffic at 'unofficial' border crossing points, they are lucrative enterprises for local DKBA and SPDC military units and individual military personnel. However, Burma Army units deployed in the Myawaddy area are rotated out every six months, when a new unit is brought in, and thus have only transient access to this income. Since August 2009, the Burma Army unit deployed in the Myawaddy area belonged to SPDC Light Infantry Division #22. This unit has been operating alongside soldiers from the KPF and DKBA Brigade #999 and Battalion #907 of Brigade #5. Leaving Myawaddy Town, the Asian Highway continues for about 13 kilometres (roughly eight miles) west, at which point it passes through a Special Industrial Zone, located just before the village of Thin Gan Nyi Naung, but still within Myawaddy Township (according to SPDC maps). The highway then continues on, up and over the Dawna Mountain Range, before descending into the plains of western Karen State where it reaches the town of Kawkareik. The road then extends through the plains to Pa'an Town—the state capital—and then Thaton Town and on to Rangoon. 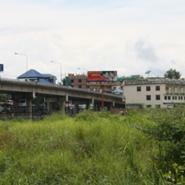 There are approximately 20 established checkpoints along the Asian Highway from Myawaddy to Rangoon. These checkpoints are variously run by soldiers from the Burma Army, police, immigration officials, Na Sa Ka, and soldiers from DKBA Brigades #999 and Battalion #907 of Brigade #5 and the KPF. Some checkpoints are run solely by Burma Army soldiers and SPDC officials. 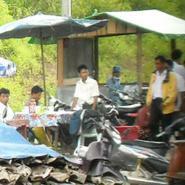 At other locations, such as the Thin Gan Nyi Naung checkpoint, these groups all operate together. Generally, transit tolls at these eight 'large' checkpoints (with the exception of Thin Gan Nyi Naung) are between 100,000 and 300,000 kyat (US $91.74 and $275.23) for a heavy truck and between 10,000 and 30,000 kyat (US $9.17 and $27.52) for a small truck. For cars, even those with no passengers, the transit fees are generally 3,000 kyat (US $2.75). 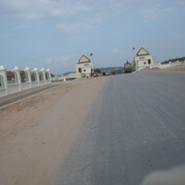 For example, leaving Myawaddy Town, the first of these checkpoints, located at the Special Industrial Zone, is operated by Na Sa Ka, SPDC soldiers and State officials, and DKBA and KPF soldiers. Each light truck passing through this checkpoint must pay a toll of 30,000 kyat (US $27.52). Each heavy truck must pay a toll of 300,000 kyat (US $275.23). 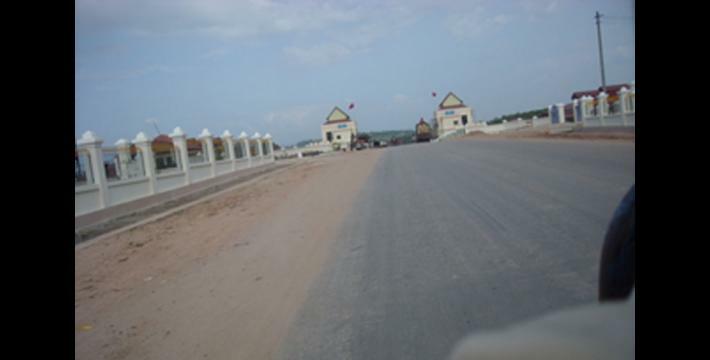 The subsequent Thin Gan Nyi Naung checkpoint is located only a short distance past the Special Industrial Zone checkpoint and is operated by SPDC soldiers, State officials and police alongside DKBA and KPF soldiers. Toll charges here are less than the other large checkpoints. At Thin Gan Nyi Nuang each light truck must pay a toll of 3,000 kyat (US $2.75) and each heavy truck must pay a toll of 15,000 kyat (US $13.76). Drivers of public transport also usually ask their passengers ahead of time to pay "life insurance fees" ("athet amakhan kyay") of between 500 and 1,000 kyat to meet an additional separate bulk payment at Thin Gan Nyi Naung, although occasionally this fee is not required. On top of the fixed tolls at the eight large checkpoints, there are additional ad hoc demands. When vehicles are stopped, passengers, generally excluding young children and the elderly, are told to disembark and walk through the checkpoint. At this point soldiers check passengers' identification cards, demanding 1,000 kyat from those without identification and typically 500 kyat as 'tea money' or 'donations' from those with identification. Some passengers report that soldiers are more likely to harass and 'shake down' those identifiable as rural villagers—who are presumably less familiar with, and less confident at, the checkpoints. Furthermore, at the Mupalin checkpoint soldiers conduct a more thorough examination of vehicles and the goods they carry. At this checkpoint soldiers confiscate cooking oil and monosodium glutamate (MSG) coming in from Thailand, deeming these products to be black market goods. Aside from the 8 large checkpoints, there are 12 or so smaller checkpoints operated as more entrepreneurial endeavours by local army units. These are sometimes little more than a bamboo pole or asphalt-and-stone speed bump set across the road at which a handful of soldiers stop cars and trucks and demand payment to pass. These smaller toll gates are mostly run by DKBA and KPF soldiers in the plains and SPDC soldiers in the Dawna Mountains. Toll charges at these checkpoints are generally between 200 and 500 kyat per vehicle. Passengers are generally not charged. In addition to the 8 large checkpoints and the 12 or so small checkpoints there are additional temporary tollbooths, even smaller in size, set up periodically all along the highway. These are generally established by individual Burma Army units when first deployed in an area and they remain in place only so long as that unit is not rotated out. Charges are usually between 200 to 500 kyat per vehicle. Typically at these tollbooths, drivers, spotting a hand-painted sign reading "pay wheel fee" or "pay road usage fee" slow down without stopping while their 'spare' hands the requisite fee to the soldier or plainclothes attendant on duty. "The road is not wide enough, so the days on which travel is allowed are restricted. For example, the road between Myawaddy and Kawkareik is too narrow for two trucks to pass simultaneously in the Dawna Mountains, and it's a rocky mountain road. So they [SPDC authorities] have a policy that on one day trucks can descend and on one day trucks can ascend. No vehicles are allowed to travel in directions not is accordance with the day. If it's the day for vehicles to descend, then all vehicles must descend together on that day. [However,] sometimes on days when vehicles are supposed to travel up to Myawaddy, they're not allowed to go because SPDC officers and seniors from Myawaddy are going to go down to Kawkareik. So, all the transport trucks have to wait at the bottom of the mountain in the rain or in the sun until the officer's car passes them. Sometimes they have to wait until the evening and once the officer passes, they can start climbing the mountain and proceeding to Myawaddy." Checkpoints and tollbooths litter the Asian Highway along its route from Myawaddy to Rangoon, slowing down travel and transport and making small-scale trade economically unfeasible. These checkpoints and tollbooths exemplify the relationship between national-level fiscal policy and local-level exploitation. While advocates and activists have consistently decried—quite rightly—the SPDC's excessive allocation of limited State funds to military expenses rather than social programmes like health and education, it is nevertheless the case that low-level military units and personnel in the field remain underfunded. This funding shortfall is deliberate, part of what is often called the Burma Army's 'self-reliance' or 'live off the land' policy. The underfunding of field units, soldiers and low-ranking officers, in combination with a lack of transparency and accountability, lie at the root of much of the exploitative abuse committed in rural areas. Given the high level of travel and trade, border checkpoints and tollgates along the Asian Highway are especially lucrative enterprises for local military personnel posted to the area. However, such enterprises in extortion are prevalent beyond these limited locations. Across Karen State, and presumably across much of rural Burma, military personnel and State officials utilise their positions to garner personal profit—thus adding to the costs imposed on local communities and (in the case of roads) traders, workers and travellers. These costs impede trade, especially small-scale initiatives, and suppress grassroots economic development. For more details of the "Battle for Myawaddy," see "Burmese jets set oil ablaze," Bangkok Post, March 25th 1974 and Jonathan Fella, True Love and Bartholomew: rebels on the Burmese border, Cambridge University Press, 1991, p.28. The Asian Highway is a United Nations Economic and Social Council for Asia and the Pacific-supported project which aims to link 31 countries in Asia across 140,497 kilometres of roadway. In Burma the project has involved land confiscation and forced labour. For more information about the Asian Highway, see Development by Decree: The politics of poverty and control in Karen State, KHRG, April 2007, p.25-26. For an in-depth examination of the relationship between exploitative military rule in rural Karen State, the resulting poverty and livelihoods vulnerability and migration abroad in search of wage labour, see Abuse, Poverty and Migration: Investigating migrants' motivations to leave home in Burma, KHRG, June 2009. Na Sa Ka; the SPDC's 'Border Defense' force—not to be confused with the new Border Guard Forces into which ceasefire groups are to transform. For more on the DKBA's Border Guard Force transformation see Forced recruitment of child soldiers: An interview with two DKBA deserters, KHRG, August 2009. Karen Peace Force, Nyein Chan Yay A'Pweh ("Peace Group") in Burmese; formed in 1997 by defected KNLA officer Thu Mu Heh and now allied with the SPDC. Brian McCarten, "Victory over the KNU, new order on the Thai-Burma border, Mizzima, July 5th 2009. This report uses the current market exchange rate of 1,090 Burmese kyat to one US dollar. In May 2009, the DKBA established Brigade #5 under the command of Na Khaung Mway (Saw Ler Pwe). DKBA Brigade #5 includes Battalions #901, 905, 906, 907 and 909 which operate in the Kya-In Seik Kyi, Kawkareik and Myawaddy areas. The establishment of the Myawaddy Special Industrial Zone was reportedly announced in October 2005 (Guy Lubeigt, 2007, "Industrial Zones in Myanmar," in Myanmar: The State, Community and the Environment, Canberra: Asia Pacific Press, 2007, p.162). Construction and development subsequently began in 2007. The total area for the Special Industrial Zone is set to cover 1.73 square kilometres. One individual who travelled this route told KHRG that he had previously inquired why the soldiers referred to this money as "life insurance fees." He was told in response that, if his vehicle crashed on its way through the mountains (located just past Thin Gan Nyi Naung), the soldiers would need some money to send him and the other passengers to hospital or collect and bury their dead bodies. It is not entirely clear why these particular items are restricted; and why they are restricted at the Mupalin checkpoint and not at Myawaddy on the Thai-Burma border. It is possible that, since some Thai products are considered by people in Burma to be of higher quality than their Burmese equivalents, such restrictions aim to benefit domestic companies by eliminating the competition of foreign goods; but since the restrictions are imposed at Mupalin, this would only apply to Rangoon and central Burma. 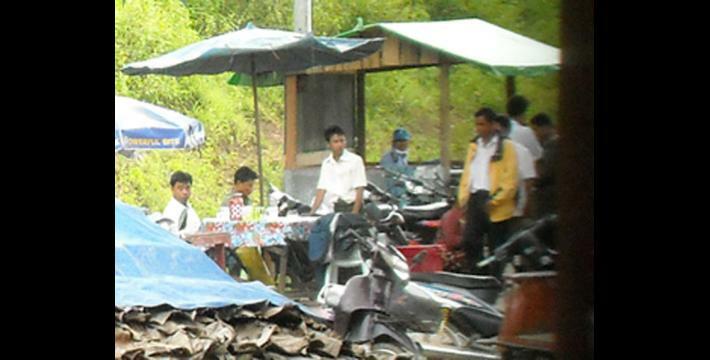 The Mupalin checkpoint is the last checkpoint on the Asian Highway before the Sitaung River checkpoint, which marks the official border of Mon State and Pegu (Bago) Division. This 'live off the land' policy became explicit in 1997, when Burma's War Office issued an order instructing the country's 12 Regional Commanders that troops "were to meet their basic logistical needs locally, rather than rely on the central supply system" (Andrew Selth, Burma's Armed Forces: Power Without Glory, Norwalk: Eastbridge, 2002 p. 136). See also, Mary Callahan, "Of kyay-zu and kyet-zu: the military in 2006," pp. 36-53 in Monique Skidmore and Trevor Wilson (eds. ), Myanmar: The State, Community and the Environment, Canberra: Asia Pacific Press, 2007 p. 46. In May 2000, the Far Eastern Economic Review went so far as to say that the 'self-reliance' policy was encouraging troops stationed near Myawaddy to participate in the cross-border narcotics trade: "Ordered by Rangoon to 'live off the land,' a command implying permission to become involved in the drugs trade, according to a senior Thai army source... troops' sole source of income is facilitating the flow of methamphetamines and heroin across the border." See, "Intelligence: Burmese Troops 'Live Off The Land'," Far Eastern Economic Review, May 2000. In an 'economic profile' of corruption and the border trade at Three Pagodas Pass, the next border crossing south of Myawaddy, in December 2008 the Human Rights Foundation of Monland described a similar relationship between the self-reliance policy and SPDC profiteering on the border trade: "Naypyidaw directs the Burmese army to support itself through 'self reliance,' and the battalions that rotate through Three Pagodas [Pass] undoubtedly view it as a lucrative posting, before they return to the violence of the countryside." Protecting Their Rice Pots: An economic profile of trade and corruption in Three Pagodas Pass, Human Rights Foundation of Monland,December 2008. Villagers' have reported similar forms of extortion across much of south-eastern Burma. See, for example, Economic Predation: Taxation, extortion and commandeering in Mon State, Human Rights Foundation of Monland, March 2009.